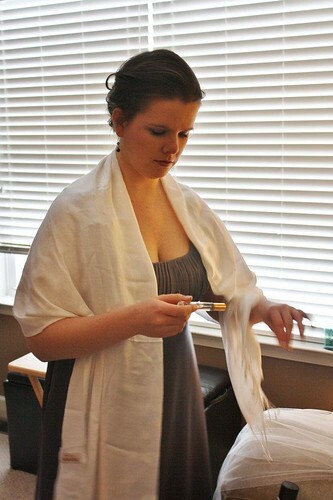 I shared a few pictures (taken by a lovely family member, Jenny) of our special day. 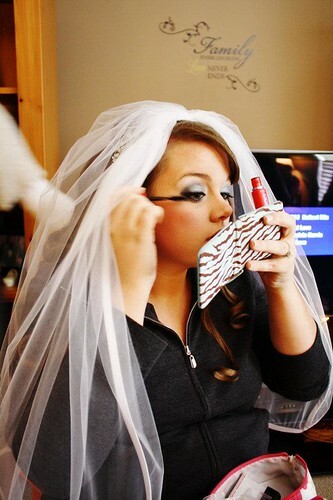 She was also there in the morning while my bridesmaids, my Mom and I were getting dressed. Since I haven't written much about our wedding, I thought I would start sharing parts of that amazing day in pieces. It seems like the very beginning of the day is a perfect place to start. First of all let me say - we had a beautiful, snowy day. 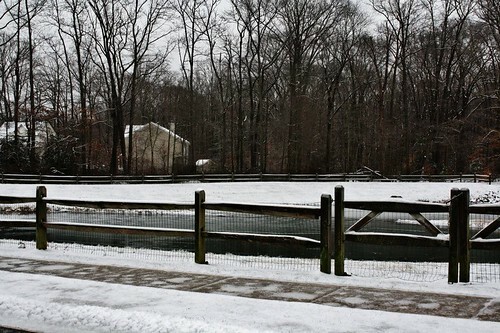 It was the perfect backdrop to our winter themed wedding. 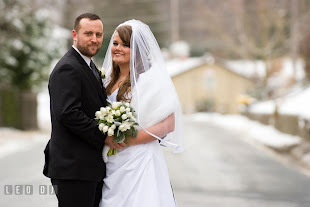 We haven't had much of a winter here in Delaware, so the fact that I had snow on my wedding day is something that will always make me so happy. 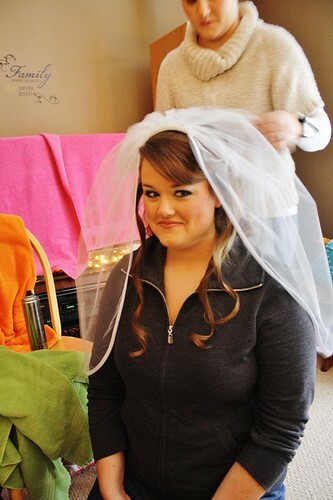 Michael and I got married on a Sunday in January, so needless to say there were not many (none) hair salons open that day. I tried for quite awhile to find a place that would open for us, but came up short. 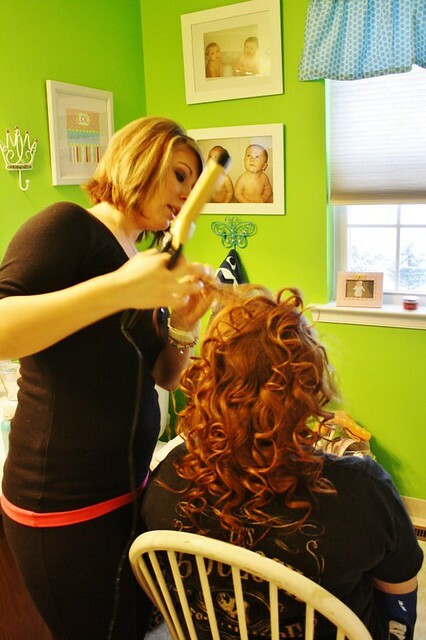 Finally I asked my beautiful, hospitable, amazing cousin Janice if she knew of any stylists in her area. She only lives about 20 minutes from our wedding venue. 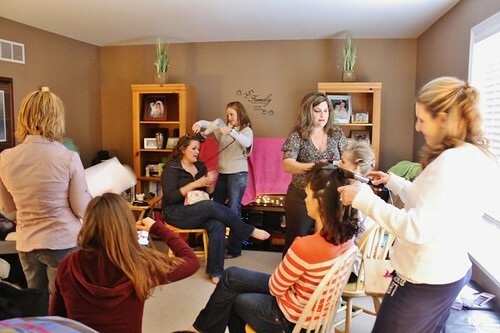 She ended up inviting all us girls over to her home to get ready there, and have a few stylists come to the house to do our hair. It was the perfect plan and I am very grateful that it worked out that way. 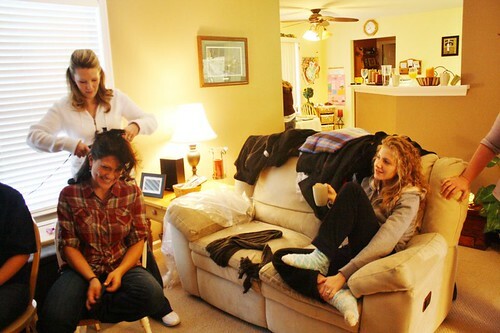 We all felt so comfortable being in her home instead of a salon. We were able to spread out, sit in comfy chairs and sofas. 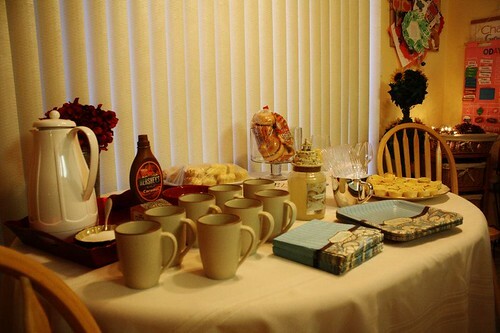 Janice prepared a delicious breakfast for us complete with quiche, bagels, fruit and coffee. 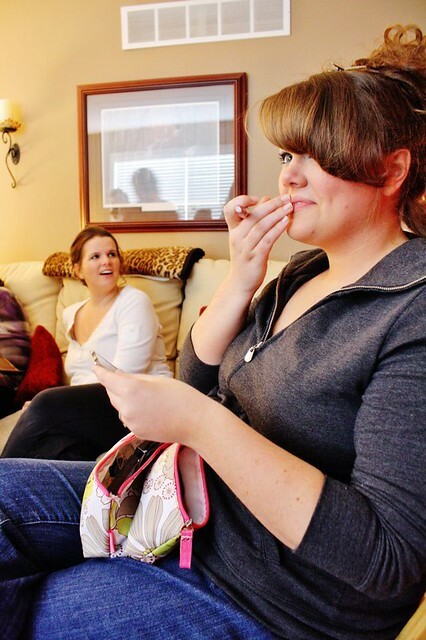 All the married ladies there kept reminding us to eat, which is hard to tell a bride the morning of her wedding. 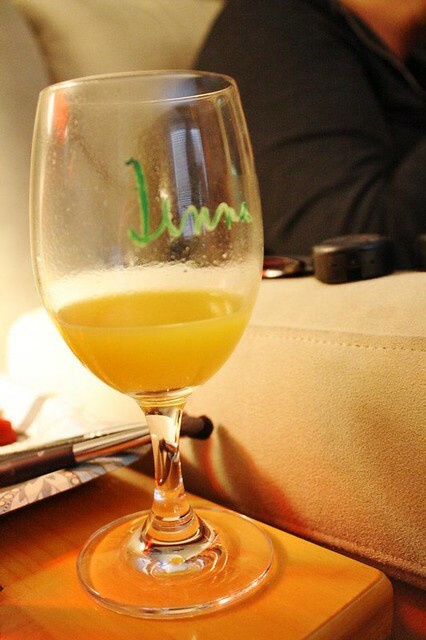 But I did get to enjoy a little quiche, fruit and orange juice. 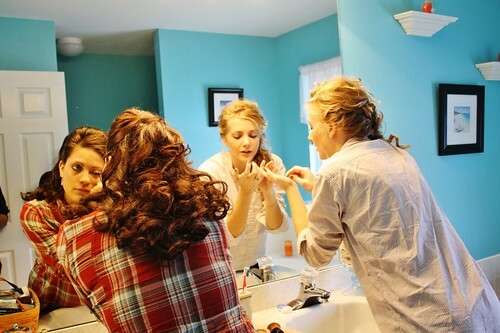 There was a lot of make up, hair spray and bobby pins flying around. Here are my two best friends from college, Ame and Lauren. We were also roommates and shared so many fun moments together those 4 years in New York. I am forever grateful for their friendship. This is my longest friend, Sarah. We've known each other since elementary school! 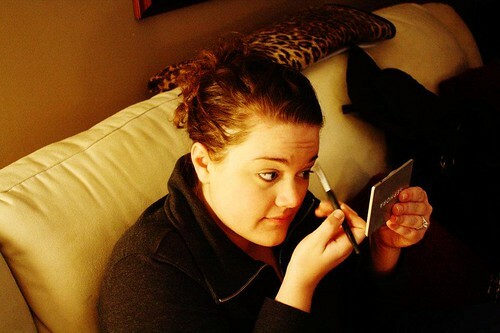 This is Michael's sister, Rachel. She is amazing and I am so lucky to have her as my sister-in-law. 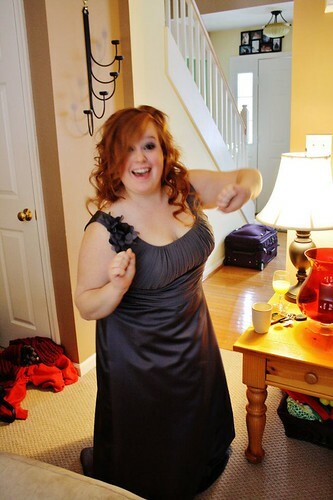 And here is my fun-loving cousin, Devon. She brings so much joy to my life! 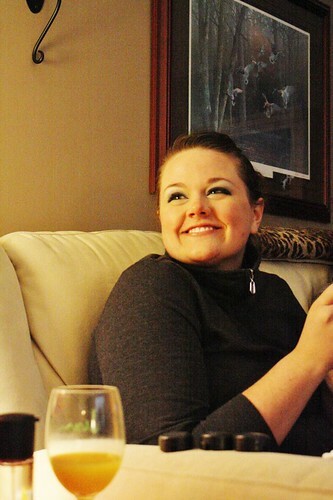 This is my amazing sister, Ashley. She is my one and only sibling. Our relationship over the years has grown stronger than ever. I am so blessed to have her in my life. There is no one like a sister! And here is my beautiful mother. 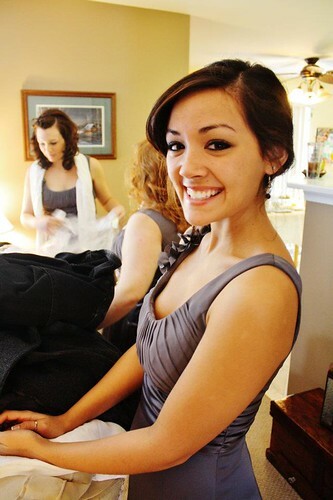 She was an amazing help to me that day, and every day leading up to the wedding. Her kind, unselfish, loving heart has been such a blessing to me over the years. Her marriage to my father (27 years and better than ever!) has been an inspiration to Michael and I.
I found a comfortable spot on Janice's sofa right in the middle of all the action and did my own make up. It is fun for me, and I was glad to have that quiet time to just sit and enjoy everything going on around me. 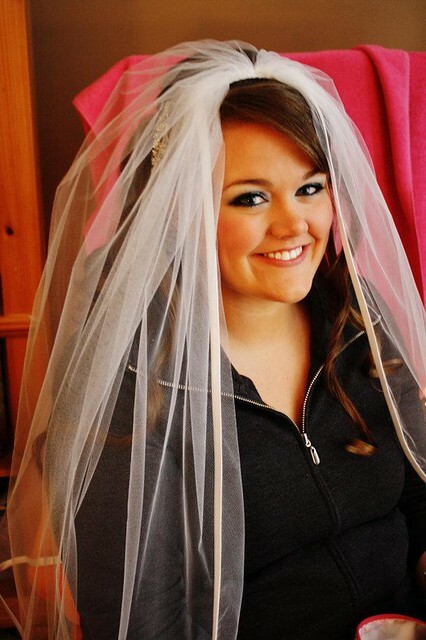 Can you tell I was so happy the day I got to marry my love was finally here? After make up was done, I had my hair styled by a wonderful lady that put up with all my long hair and almost an hour of curling. 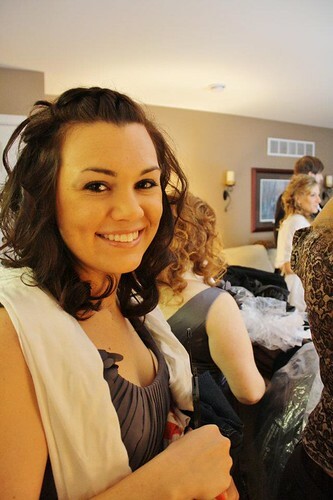 We did two hair trial runs together before my wedding, and found the perfect style. 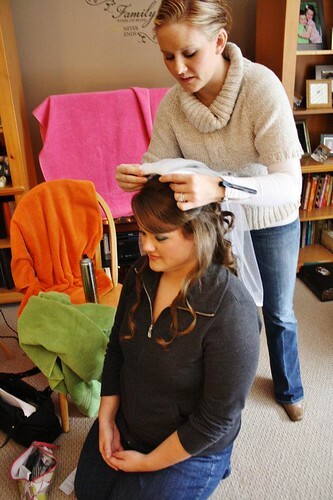 She was so talented and calming, and I will always be grateful I had her to do my hair for my special day! 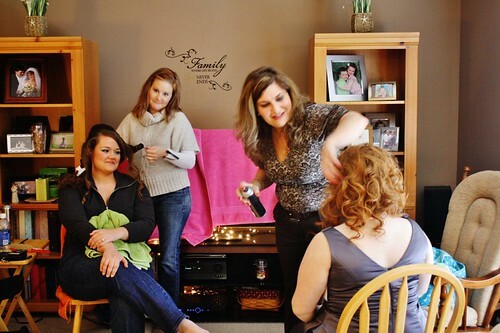 All my bridesmaids looked on as she put the finishing touches on my hair, and put my veil on. It was an amazing moment for me. 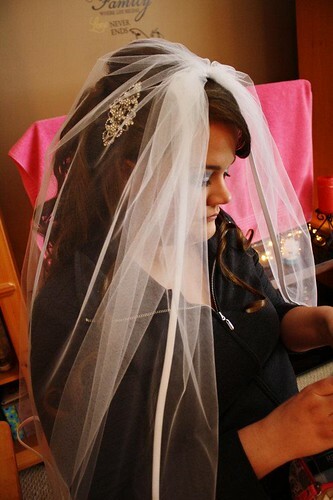 I felt like such a bride! 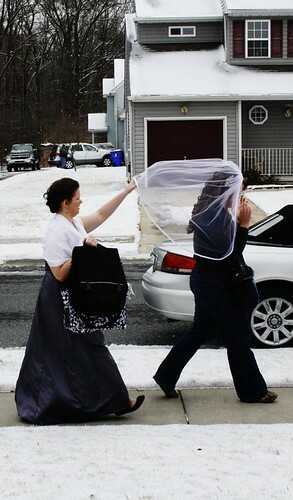 My sister helped me get in the car, and off we were to the wedding venue. I remember the reality of everything hitting me then. I couldn't believe the day I dreamed about since I was a little girl was here, and I was only an hour away from walking down the aisle. I couldn't wait to see Michael at the other end. 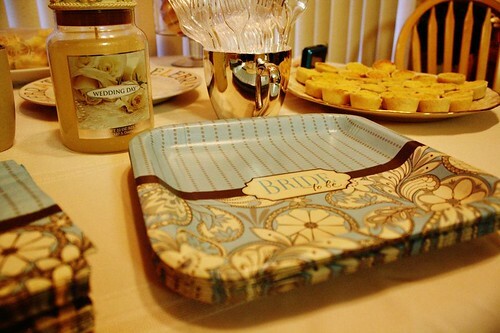 I am so grateful to Janice for opening up her home to us, so we could have a relaxed and comfortable space to get ready. 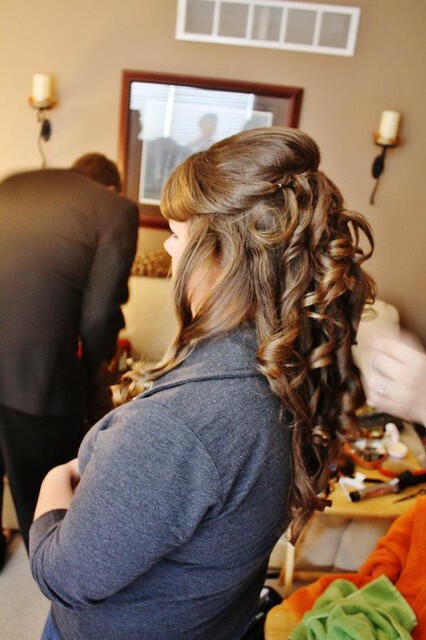 Thank you to Courtney, the most amazing hair stylist! 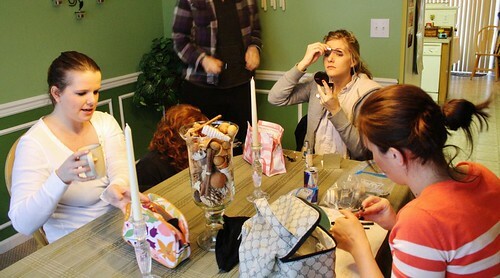 And to all my bridesmaids who kept me calm that morning - you are amazing and I love each of you more than words. 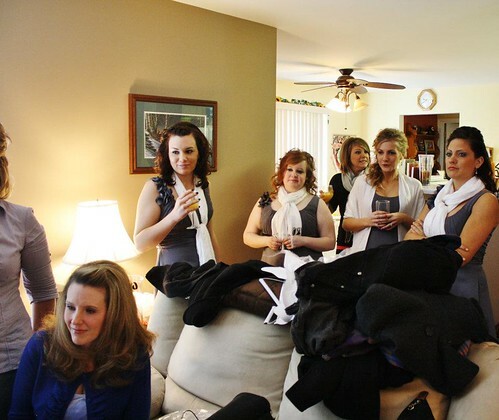 And in case you are wondering, the beautiful gray bridesmaids dresses are from David's Bridal (in Pewter). More wedding stuff to come over the next few months! the hair and make up is really gorgeous! Hi Jenna! I just finished baking your Vanilla Chai Cupcakes, and stayed around to look at your blog...very fun! After reading your post about smoothies, I wondered if you ever tried to make your own yogurt? It's surprisingly easy, and if you strain it afterward, you can get lovely Greek yogurt. It's so expensive, and this way you can get 2 quarts of it for the price of a gallon of milk.